Now that your skating center is in thick of summer, most operators are focused on reducing their labor costs. The FEC mixes (one with overlaid announcements or the other that is music-only), are created to provide your guests with a professional DJ experience while freeing up an employee to be available where you need them. The FEC Mixes also provide a safety net during the unforeseen summer camp or group arrivals. These surprise visits can leave your staff scrambling, but with one click, the music is set up for two and a half non-stop hours. Each of the five mixes this month are crafted to include the biggest pop songs and standard party favorites. The goal is total customer entertainment and with the FEC Mixes, you can be assured that the music selection is to your high standards. 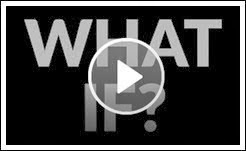 Industry entertainment leader Steve Earley programs monthly Megamixes geared to specific sessions for fecMusic SK8 subscribers. You will find the Steve Earley Megamixes in the Infotainment/Megamixes section of your fecMusic SK8 player. 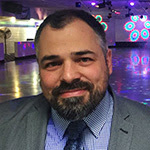 In 1989, Steve acquired his first position at a roller rink and quickly discovered his passion for session programming and the art of skating entertainment. He has worked and managed several skating centers throughout the United States for a majority of his life. Steve is currently the Director of National On-Site Marketing for Sure Grip International and spends his time traveling the country visiting skating centers.